There are a variety of tools and software available on the market that ensure maximum success in your e-commerce marketing endeavours. However, with the huge range available it can prove difficult to choose the ones best-suited to your brand’s requirements. In this blog post we’ve rounded up our top 10 e-commerce marketing tool picks, both free and paid, that could benefit your marketing team. Having the appropriate e-commerce marketing tools empowers brandsc to make data-driven decisions concurrently saving time and resources. Indeed many of the tools in this post and beyond are essential for increased productivity, efficiency, and precision when planning, running and monitoring campaigns. So, let’s take a look at some of the best e-commerce marketing tools you should consider using and what makes them essential. 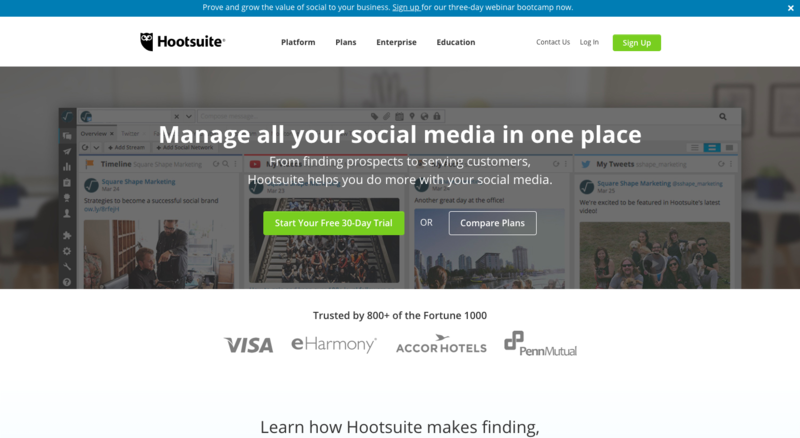 Hootsuite is a complete social media management suite and the market leader in its field. This integrated tool allows you to manage all of your company’s social media accounts from one central, intuitive dashboard designed to give you a comprehensive overview of each platform. You can schedule an unlimited number of posts per day and customise your dashboards to include specific streams, such as messages, brand mentions, and home feeds. The tool also provides key analytical insights with downloadable reports for monitoring social media KPIs and sharing results with stakeholders. Hootsuite is a paid tool with plans available from as little as £16 per month. Its an efficient and consistent social media management and monitoring solution. The fact that it allows you to measure social media KPIs, which can otherwise prove tricky, means you should definitely consider adding this one to your e-commerce marketing tools. BuzzSumo is an exceptional tool for content marketing. It’s essentially one centralised access point to the most trending and shared content across a variety of categories. You can filter by sector, country, language, and time posted to really reach the content that’s relevant to you. The insights this tool provides grant you an almost unparalleled capability to pinpoint the most popular content in a specific sector while also identifying key industry influencers. BuzzSumo also lets you see any brand mentions, allowing you to track and get involved in discussions about your brand. The tool will even send you a daily email update showing any backlinks to your site. BuzzSumo is a paid tool which offers a free 7-day trial. Overall it’s an extremely useful addition to your daily e-commerce marketing tools, specifically to research new content ideas and to stay on top of relevant news and trends without the need for manual searching. SEMrush is undoubtedly an essential all-in-one tool for any marketing team. 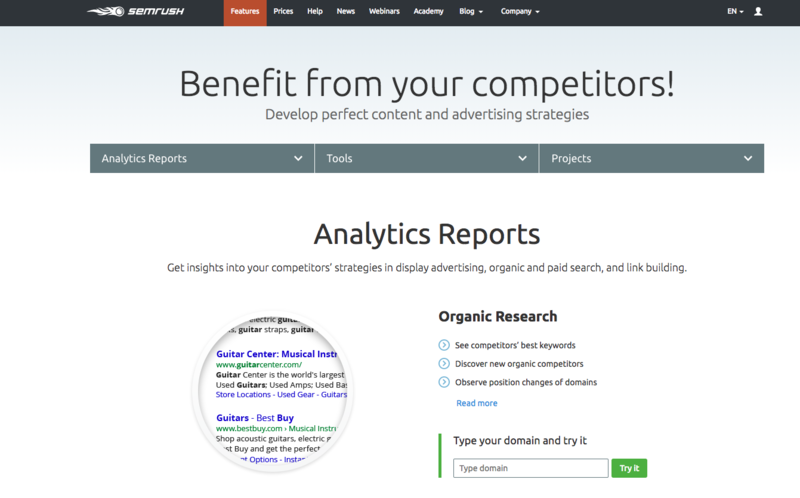 It has a wealth of features, but perhaps the most popular is competition analysis. This feature set allows you to see the organic and paid keywords, content, and ads your competitors are ranking for and even how much they’re spending. This extensive data is excellent for spotting any keyword opportunities you might be missing but also to identify niches where your competitors aren’t active, meaning you can optimise and refine your PPC strategy. In this sense SEMrush is also an excellent resource to obtain inspiration for effective ad text. The tool also has functionality for gap analysis and comprehensive social media tracking, including your competitors posting frequency together wuth their most popular content. While there is a free option, it has limited capability, so the paid option is definitely the advisable; plans start from as little as $99.95 per month. The bottom line is that SEMrush is a hugely popular tool for good reason, making it one of the most important daily e-commerce marketing tools out there. WordStream are PPC experts with a wealth of knowledge and tools which can hugely optimise your paid advertising campaigns. Their central tool, WordStream advisor, monitors your cross-platform PPC campaigns (including AdWords, Facebook and Bing) and gives helpful suggestions to increase key KPIs such as CTR. The tool also lets you set up and track specific goals, such as to decrease CPA (cost per acquisition). 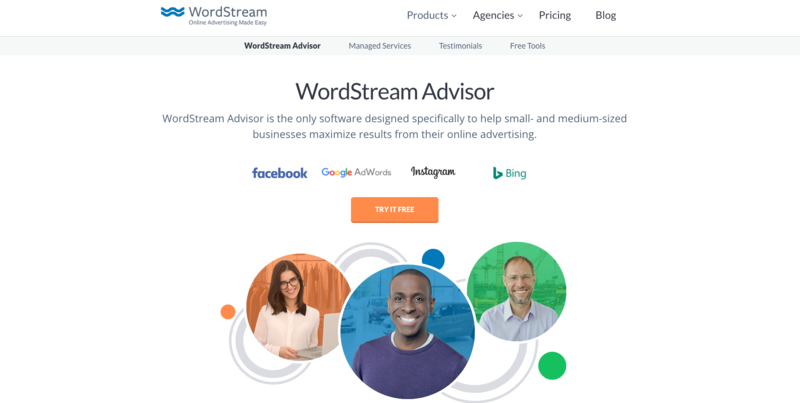 WordStream Advisor is a fantastic tool for decreasing time spent managing paid advertising campaigns while also boosting campaign performance. The tool has a free 7-day trial which includes a comprehensive report of your AdWords account, giving you an overall rank, some key account performance statistics and areas for improvement. While there is no free plan, there are several paid options which include an account manager and extensive advice, making this tool 100% worth the investment and a valuable addition to your existing e-commerce marketing tools. In addition to the advisor, WordStream offer a free negative keyword tool. Negative keywords are an often overlooked aspect of PPC campaigns, but are absolutely essential in paid advertising success to prevent unwanted, irrelevant clicks. This tool lets you type in a keyword and provides suggestions which you then select as relevant or not. It adds the ones that you select as ‘no’ to a negative keywords list which you can export as a csv file and import directly into your AdWords account. Answer The Public is an amazing free keyword tool. You simply type in a keyword and receive a huge variety of suggestions, including questions containing the keyword, related search queries, and alphabeticals. The sheer extent of suggestions this one provides make it quite possibly one of the most comprehensive keyword tools out there. Give it a try! Google Analytics is arguably one of the most essential e-commerce marketing tools, the backbone of any marketing toolkit. While almost all companies have it, not all of them utilise it to its full extent. Google Analytics provides an in-depth overview of a huge wealth of site data, including new and returning customers, traffic sources and user behaviour, to name but a few. These insights are essential in monitoring key campaign KPIs and measuring ROI, especially thanks to Analytics’ conversion goals feature, which allows you to directly measure the highest-converting traffic sources based on specific parameters. You can also link your Analytics to your AdWords account in order to have all of your campaign data in one place while getting a more granular insight into your PPC efforts, including bounce rate, entry and exit pages, and user behaviour. We recommend taking Google’s online Analytics course to truly get the most out of the tool. 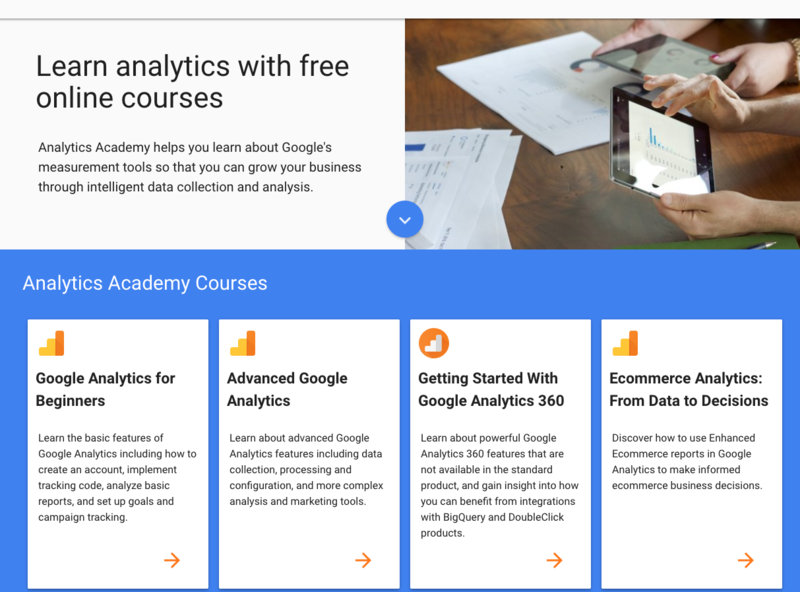 There are beginner and advanced courses, depending on your level, but both provide clear guidance on how to get the most out of the tool, with useful walkthroughs using Google’s own dummy account. If you’ve never heard of Moz, they are truly the kings of SEO and PPC advertising; their website is a treasure trove of knowledge and information essential to successful e-commerce marketing strategies. It’s a great place to start if you’re looking for free educational SEO materials. However, we’ve found that their most useful tool is the Moz Keyword Explorer. Similar to the Google Keyword Planner, this tool gives you a number of daily free searches, but there is also an option to sign up for a reasonably-priced paid plan. You simply type in a keyword and the tool gives you a variety of related information, including a difficulty rating (how difficult it is to rank for that keyword), average CPC, average monthly searches, and some additional keyword suggestions. This makes it a very comprehensive keyword research tool to complement the keyword planner. Furthermore, it allows you to download keyword lists in a .csv file to directly import into your AdWords account. Tailwind is a social media tool designed specifically for scheduling posts on Pinterest and Instagram. Extremely useful for brands with a focus on these image-based platforms, Tailwind even has the ability to auto-post to Instagram. The tool comes with an easy-to-use visual scheduling calendar similar to that of Hootsuite. It also gives you access to post analytics and insights, allowing you to easily identify your most successful content pieces. The Yoast Google Suggest Expander is a fantastic, free keyword research tool. If you type in a word, the tool suggests related longtail keywords as shown when google provides search query suggestions. This means you can access truly relevant search queries and target the more niche keywords your audience is searching for. It lets you see the nature of the questions your audience is typing into Google, in other words what their main problems that you have solutions for. Last but most certainly not least is Canva. An amazing free tool for creating stunning graphics for your e-commerce marketing campaigns and social media, Canva is super user-friendly and intuitive. The best part about it is you can easily drag and drop design elements to create purpose-oriented custom designs, i.e. social media graphics, infographics, presentations, Facebook posts, Instagram posts etc. While there are paid options which give you access to a wider choice of graphics, the free option still has a fantastic range of templates, or you can simply import your own brand images/logo. This is by no means an exhaustive list of the e-commerce marketing tools available to you. Rather, these are some of our top picks for empowering teams and optimising results. Using even one of them could make all the difference to a specific aspect of your marketing, while others provide a more comprehensive solution. We’d love to hear about your experiences using e-commerce marketing tools and if you have any more suggestions for us. Don’t forget to sign up to our insights newsletter to get more tips, trends and news straight to your inbox.